The Richards River Trail is named in honor of William J. Richards, a good friends and supporter of the Pickaway County Park District. 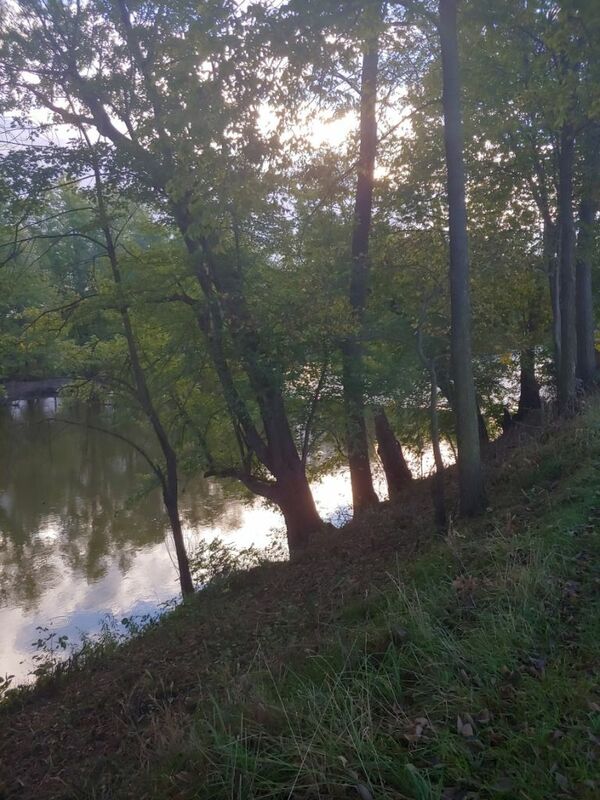 Mr. Richards is working with the Park District to allow a lease of the top of his dike that runs south of where the Pickaway Trail crosses the Towpath Trail along the Scioto River. This beautiful grassed path allows for the scenic viewing of the Scioto River. The Richards River Trial is approximately 2.5 miles long and make a good 5.2-mile loops when combined with the Towpath Trail. This can also be shortened by taking the Wetland Trail Connector back to the Towpath Trail making a 4-mile loop. Along this peaceful walk you have the opportunity to see the eagles nest on the east side of the Scioto River, osprey nests over by the quarry as well as other birds at the wetland. This trail is subject to flooding, please be aware of recent rains and flooding on the trail.